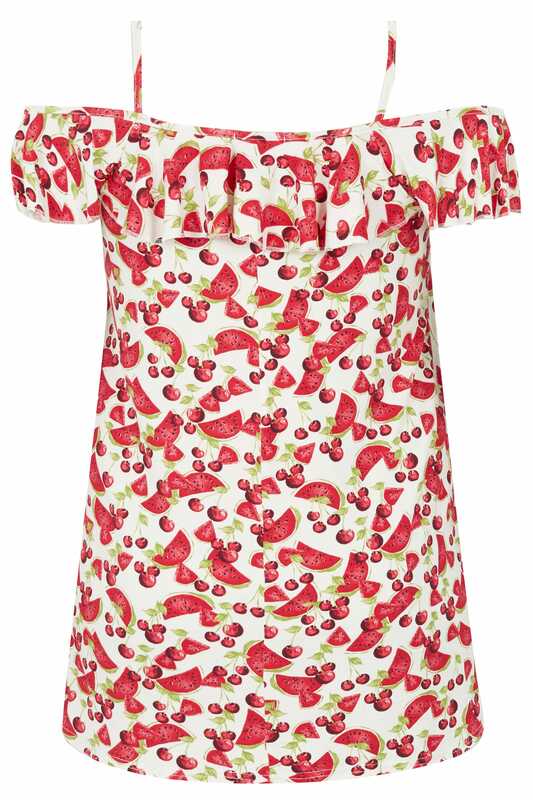 Front length from (approx) 62cm/24.5"
Back length from (approx) 60cm/23.5"
Add a pop of colour to your wardrobe with this stylish top. In an on-trend cold shoulder style, it features chic frilled detailing. Team with washed denim and flats for a go-to casual look. 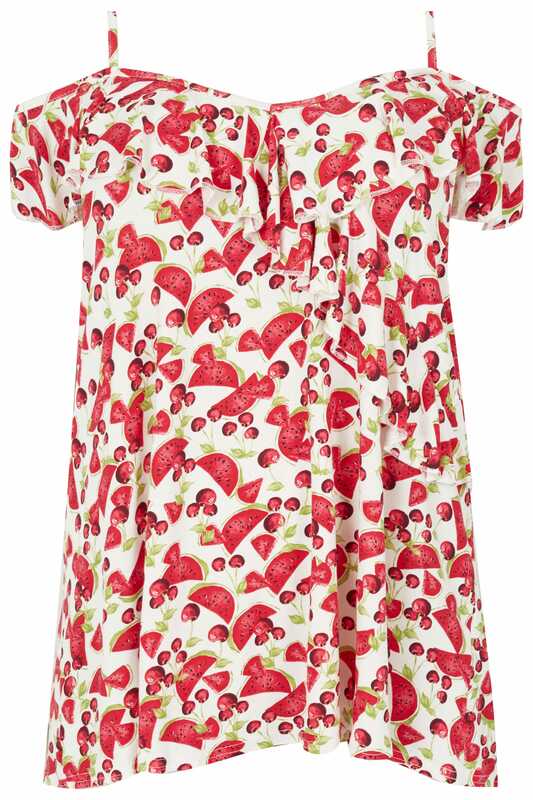 We are loving the fashion forward details and the fun watermelon and cherry print.